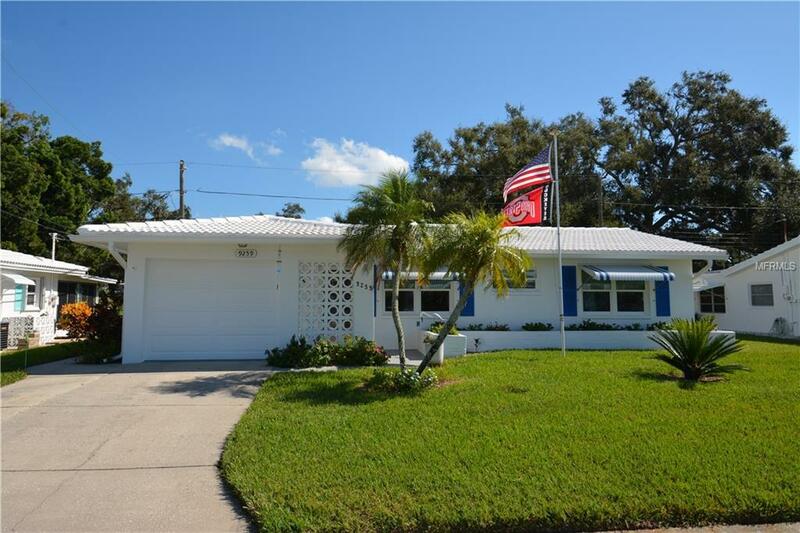 Pride of ownership describes this meticulously maintained 2 bedroom/2 bath home, single car garage at Tamarac by the Gulf. Tamarac is a great 55+ active community with many activities and close proximity to the Gulf of Mexico beaches, New Seminole City Center for all your shopping, banking, restaurants, movies and so much more. The low association fee, $189.00/month includes water, trash, sewer, yard maintenance, painting the exterior of your home, roof and recreation and clubhouse facilities with a beautiful heated pool area. Try a game of shuffleboard. Your back view/yard is like a park setting, very peaceful. The home has many improvements, recently exterior paint including shutters, high impact windows including new garage door, new front door, newer tile throughout, electrical panel 2014, freshly painted inside, Hunter Douglas blinds, new blackout blind in the main living area, crown molding, a/c 2013, updated baths, lots of storage, very open and bright. The home has two living areas plus a large tiled Florida room (approx. 10X19). A true hidden GEM.